This paper presents the modeling of fault diagnosis mechanisms extending a method to design reconfigurable and distributed manufacturing control system. The method combines different techniques: service-oriented architecture, holonic and multi-agent system, production flow schema and input-output place-transition Petri net. 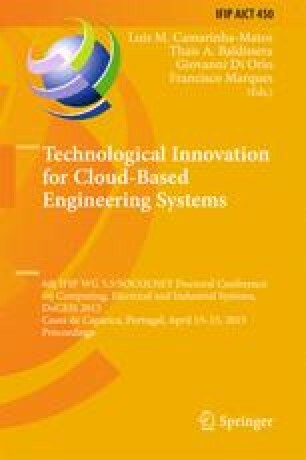 An application example demonstrates advantages of the proposal, such as at cloud-based engineering, reuse, implementation and reconfiguration flexibility.